2910 River Rd. Ashland City, TN is now listed by M7 Property Group. This home is located minutes away from Downtown Nashville, TN but has that country feel. 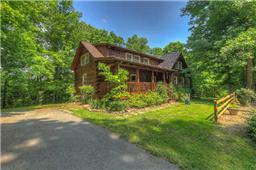 Sitting on 14 acres in Cheatham County, this could be your perfect Vacation home, or 2nd home for travels. This home was built in 1976 and has 2 stories. There are 2 property entrances for this home. There 8 large bedrooms in this home. The outside is log built giving it that log cabin look. The deck and patio are both covered the back is screened in. If country living is what you are looking for and you have a children attending public school your only minutes away from Pegram Elementary, Harpeth Middle and High School. This home is truly a must see so book your appointment today with M7 Property Group.